There's literally nothing I'd flinch at inflicting on these vermin. Burn them alive, starve them into cannibalism, gas chambers, anything. Death to them all. These are the sleeper cells you were told about long ago. But they aren't sleeping, you question. That's right, YOU were the one that was sleeping. A guy I know who is there says there is a much more violent response to all of this that is bubbling underneath. He thinks it will get very ugly, and the native Germans will not lose. It looks from here like the Germans are willingly lurching toward suicide out of guilt and virtue signalling. I have to wonder what the hell Merkel was thinking. Then, of course, one can remember history. A hundred years ago Willie Hohenzollern told the Austrians that they could do whatever they wanted and Germany would back them. How many millions of Germans died in round 1, 1914-18, and round 2, 1939-45? How many will die this time? As a German, I have given some pained thought to Merkel's motives. Of course there are ways to rationalise motives so as to arrive at a political explanation for what she did. But in my ever firmer view, political explanations aren't fully sufficient, there are more elementary forces at work here. I've come to the conclusion that psychosexual motivations must have played a big role -- and yes, I am a regular Chateau Heartiste reader. Merkel is an ageing woman without grandchildren to take care of. I'm not overly confident she gets banged even the necessary minimum any longer. So where take her "love" and caretaker impulses? 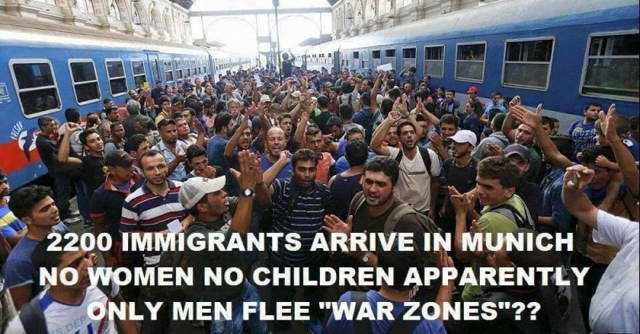 Shed them on all those allegedly needy -- and at the same time virile -- swarthy "refugees." Plenty of other German / European women there found an outlet for these impulses too, imagining those folks to be needy furries. Slowly, even they will find out that those imagined coddly-needy refugee-rabbits are mutant attack monsters. The new "Germans" apparently don't know history. The Jews didn't do a damn thing and were still killed. Just think what the Germans would be capable of doing to people who are actually harming them. Things can change in a hurry, even faster than in the 30's. People you think are sheep can turn into wolves in no time flat but if the Germans are going to do it they can't wait until they are old. I am not saying they should kill them, shipping them the hell out would work, only getting violent with the ones you had to. History has become the ugly and unwanted stepchild of school curriculum,worldwide. France should have been the bellwether,Brussels ignored the banlieus and allowed Mollenbeek to exist,which begat the Bataclan horrorshow. A rifle from Phoenix was recovered at Bataclan, WTF ??? Why are Mogadishu's finest being imported to America? Is this what happens when aging Cat Ladies run the world? 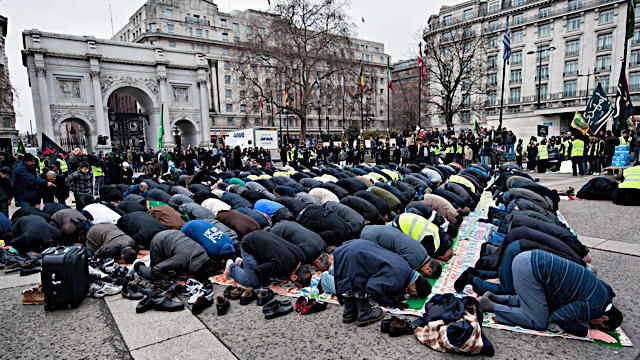 It was not by accident that Germany was chosen to be the first European country to be destroyed by Islam. Any effective method of control was and will always be met with cries of "Nazis", "Holocaust" and similar references to the Great Hoax. There really is "No Business Like Shoah Business".